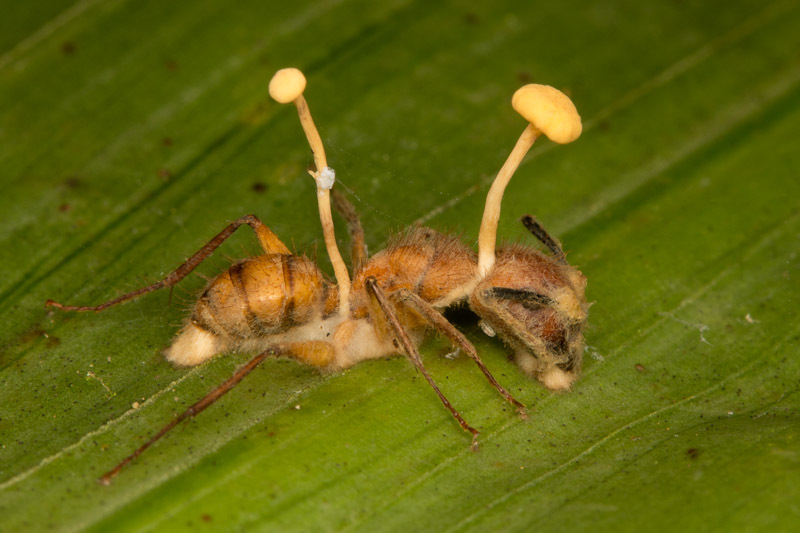 This unfortunate ant fell victim to a fungus, Cordyceps perhaps. This short sequence from an episode of the Planet Earth series gives a nice introduction to the phenomenon. Wow, nice find – and I am again reminded of how amazing BBC and David Attenborough are! I have to say I much prefer David Attenborough’s narration over Sigourney Weaver’s. I’ve learned recently that the ant-attacking Cordyceps are now in the genus Ophiocordyceps, for what it’s worth. Good to know about the genus split, and thanks for the compliment. Thanks for the identification, Vaclav.